 Posted November 6, 2018 by Sydney Criminal Lawyers & filed under Criminal Law, NSW Courts. Former Auckland barrister Minkai Huang was struck off the New Zealand roll of solicitors and barristers on 26 November 2014, when the NZ Lawyers and Conveyancers Disciplinary Tribunal found him unfit to practice due to a conviction for theft. On 14 October 2013, Mr Huang pleaded guilty to stealing $9,475, contrary to section 220 of the Crimes Act 1961 (NZ). A client had given the money to Mr Huang, who then failed to account for it with the barristers’ chambers that he was contracted to. Sections 223(1) of the Crimes Act provides that a person convicted of theft by a person in a special relationship can be imprisoned for up to 7 years. The Auckland District Court sentenced Mr Huang to 100 hours community service on 10 December 2013. Following his conviction, Mr Huang applied for a job as a migration agent at the Australian Office of the Migration Agents Registration Authority. And in doing so, he stated on the form that he’d never been found guilty of a criminal offence. He then applied for a NSW practising certificate. Mr Huang lied on the application form, stating he’d never been convicted or charged with an indictable offence in any jurisdiction around the globe. 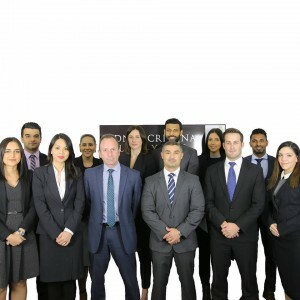 All lawyers in NSW are required to hold a practising certificate, which is a licence which permits them to work as a legal practitioner. Practising certificates must be renewed every 12 months. After he’d been struck off the roll in NZ, the lawyer lied on both these application forms again, when he reapplied the following year. But, the second time he attested that he’d never been the subject of any disciplinary proceedings. The Council of the Law Society of NSW commenced legal proceedings against Mr Huang on 6 February last year. It sought to have Huang’s name removed from the NSW Supreme Court roll of lawyers and that he pay the regulator’s legal costs. The Law Society submitted that Mr Huang’s conduct was nothing less than deceitful, and that the lawyer lacked the “necessary candour” that’s required of legal professionals. Mr Huang made no written submissions to the NSW Civil and Administrative Tribunal (NCAT). Nor did he appear at the hearing on 27 September last year, which was presided over by NCAT Deputy President Stuart Westgarth, Senior Member Christa Ludlow and General Member Bruce Thomson. During the hearing , the tribunal members made clear that section 302(f) of the Legal Profession Uniform Law Act (NSW) empowers them to remove the name of a lawyer from the roll of registered lawyers, which is kept by the Supreme Court of NSW. The Legal Profession Uniform Law came into effect in both NSW and Victoria on 1 July 2015. It provides the legal framework for the administration of the merged legal systems across the neighbouring states. The Law Society put it to the court that Mr Huang was guilty of professional misconduct, which is defined under section 297 of the Act as a substantial or consistent failure to “maintain a reasonable standard of competence and diligence”. And the members pointed out that section 298 of the Act outlines what sort of conduct may constitute professional misconduct. This includes “conduct in respect of which there is a conviction for a serious offence… or an offence involving dishonesty”. But, the members said it was not enough to only consider the statutory definition of professional misconduct and common law definitions must also be considered. “The common law concept of professional misconduct includes conduct in pursuit of professional activities which would reasonably be regarded as ‘disgraceful or dishonourable by professional colleagues of good repute and competency,’” the members said. The Law Society pointed to the decision made by the High Court of Australia in the 1939 case Kennedy versus The Council of the Incorporated Law Institute of NSW, in which Justice George Rich found that a charge of misconduct is warranted if the impropriety was enough to affect professional character. And in matters that do involve professional misconduct, the NCAT members explained, the tribunal’s role is “protective, not punitive”. It must protect the public from dishonest legal practitioners and dissuade other lawyers from taking part in similar behaviour. The tribunal members were of the opinion that the orders sought by the Law Society should be made, as they were satisfied to the Briginshaw standard that the facts were proven to their satisfaction. The Briginshaw standard requires a higher degree of satisfaction in the case of the civil onus of proof. This standard is employed by courts when dealing with more serious civil matters, such as allegations of fraud or misfeasance. The tribunal members said they found that in applying for the position of migration agent and for his practising certificate, Mr Huang had blatantly lied, and the former legal practitioner must have been well aware that he was doing so. It further found that his conduct lacked the integrity and candour that a legal professional should possess, and constituted professional misconduct. On 30 November last year, the NCAT members ordered that Mr Huang’s name be removed from the NSW Supreme Court roll of lawyers. Under the provisions of schedule 5 clause 23(1) of the Civil and Administrative Tribunal Act 2013, the disgraced lawyer was also ordered to pay the costs of the NSW Law Society. These orders were handed down almost three years to the day after the NZ tribunal had Mr Huang’s name removed from that country’s roll of lawyers and similarly ordered him to pay the court costs of the NZ Law Society.